I would like to share to you a new blog which tackles everything that is cute and artsy. I actually thought of blogging about something that is somewhat horror to be in line with the upcoming Halloween which is happening very soon and also because Micky had and will be soon announcing the new set of costumes which I myself is very excited of. 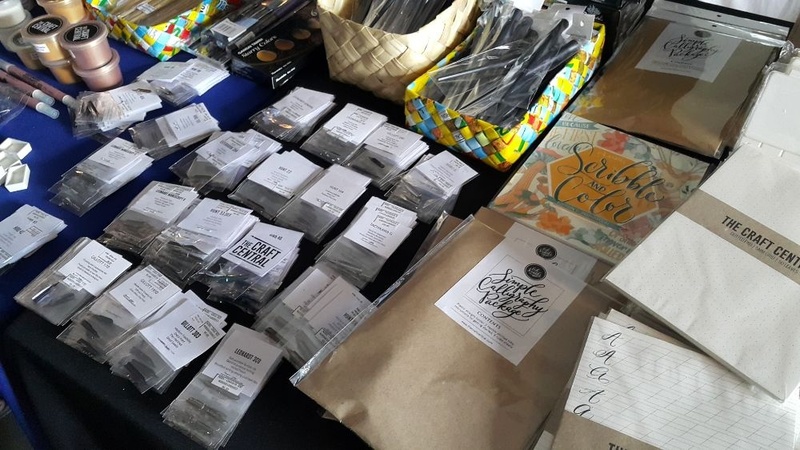 In fact the costumes had been out already and there are more to come so be sure that you spare out some spaces or buy an expansion of your closet.It is best time to do so since the bitLanders team had lowered down the pricing for the spaces, check out the blog here. 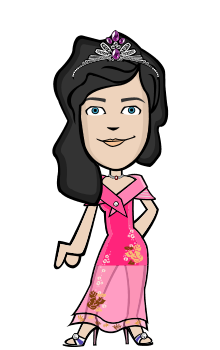 But setting that aside for now because I am going to share to you my art filled Saturday last October 8, 2016. My husband James and I went to an Art Exchange bazaar. I was very glad that my husband joined me in this event and I know for a fact that he is very supportive in what I would love to attend. He never asked questions though about the so called event and just agreed that his going with me and accompany me within the entire day if that would take that long but no, I told him it would only take a few hours since I am not participating in any activity or workshop but I'll instead just check if there's something that would interest me in the bazaar. And he definitely knows what happens when I would say I'll check out a place and see if I can get something on hand. Truly, we didn't go out of the bazaar empty handed. Photo above is for the Piraso Table. One of the participants in the said event. 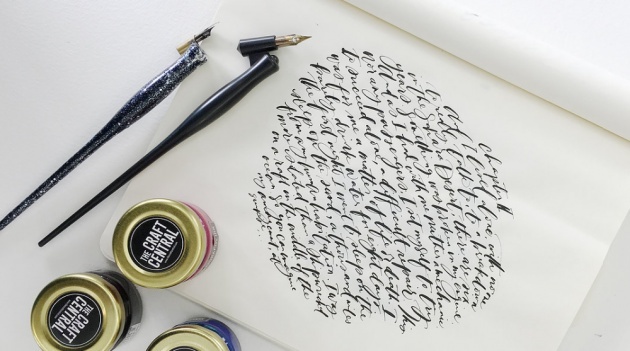 I had been a follower of an Instagram account of Cebu Craft which posts very cute arts such as calligraphy writings, paintings, journals, kits and everything cute or say Kawaii. Kawaii is a Japanese term which means cute. So when they had posted an advertisement about the Art Exchange, I immediately checked the where and when information of the said occurrence. Actually, I had always been following them to know if there are events where I can personally take photos of these artworks. One more reason as well was that I am trying to see if they would offer lesser workshop packages because I would really love to start getting serious about calligraphy and journal writing. Way back in my secondary year, I have been engaged into lettering and journal writing. I had been one of the few people who had been always assigned to make the stage decorations at school. Not only make but also to come up with the right stage imprint design. I recall our graduation day. The event would actually start at two in the afternoon yet I was still at our school which was around five kilometers away from home just so I can finish the decorations as well as finalize the specific lettering which includes the theme of the commencement exercises. Photo above are painting stickers, really cool items. Gladly I got home at one in the afternoon, immediately ate lunch and although I was a bit late, the program started a bit late too so I was still able to march. That was my last stage lettering which I had done and when I reached college until I started working, I tend to slack in practicing this once was my favorite thing to do. Well, I still somehow get to do these in my free time but not too often. Work and my after work stuffs had taken over me and I had the tendency of having the mindset of just letting it go since I am already old and I won't get enough time for practice until one time, I was encouraged by a self confessed doodler slash journal lover Abby Sy who's book I accidentally bought at the National Book Store. When I read her story, something in me sparked and ignited. I need to practice my hand to work with the pen again, that's what's on my mind. I then ordered my materials, I started buying calligraphy pens and started practicing again. However, I gets easily distracted. I stopped again for the past weeks until I checked Instagram again and that's the time that I had seen these really enthusiastic art lovers. 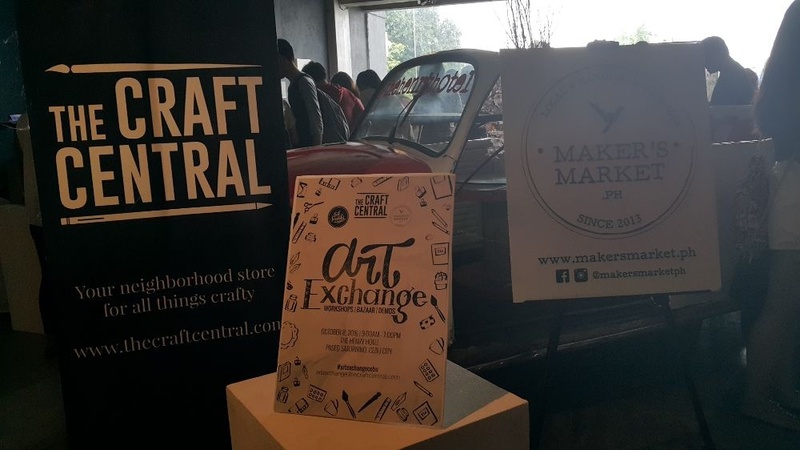 As per the Art Exchange site itself, it is a day of inspiration and learning, Art Exchange gathers crafters of all mediums to share their knowledge about their art and to showcase their talent through: Workshops, Art Demo and Maker's Market. 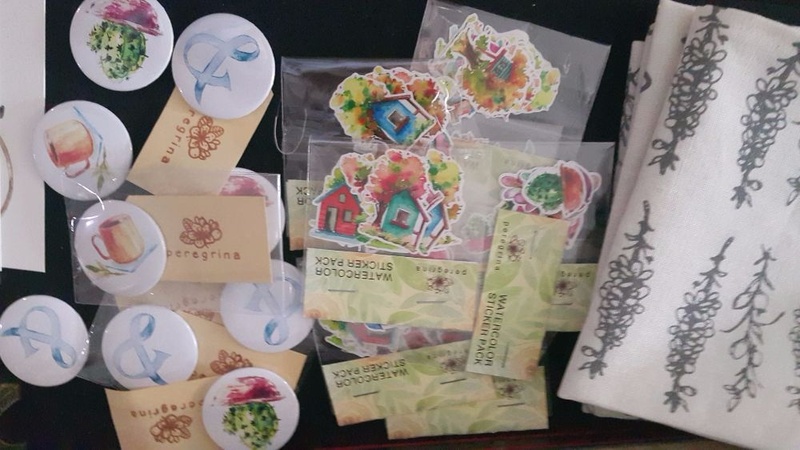 The Art Exchange event basically is like a fellowship of art enthusiasts which includes additional activities to give the participants a way of enhancing their talents and hobbies as well as sharing to the new ones their passion to encourage and pass on the craft to the next generation and even to their surrounding. How Did I Learn About it? It was three days before the event that I spent few minutes scrolling through my Instagram feed. I usually do this in my free time at work or at home. And if you are like me who loves these kinds of stuffs, this would surely catch your attention just like what happened to me. I then checked out the place of the venue and the event date. Fortunately, it was set on a Saturday which is a perfect timing since my husband and I are free tat weekend. Since the organizers have made it their mission to help fulfill arts and crafts potential. 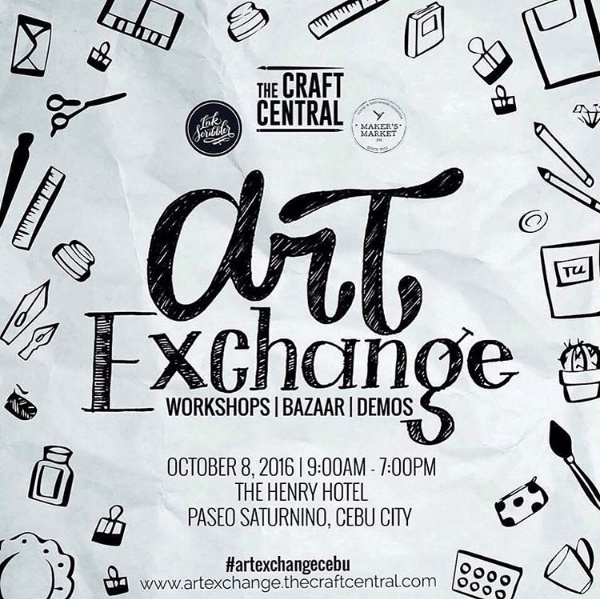 They have chosen the beautiful city of Cebu as venue for The Craft Central's Art Exchange! What to see in the Art Exchange? I had never signed up for any workshops yet so far in my life and I personally would like to do so and I was really regretful that I didn't join the said workshops instead I had only joined the two other activities included, the Art Demo where I had seen these artists paint and one of them did some Calligraphy quotes too. The Bazaar was also a success and I had fun moving around the Kawaii items! I ended up buying three things. What are the activities involved? 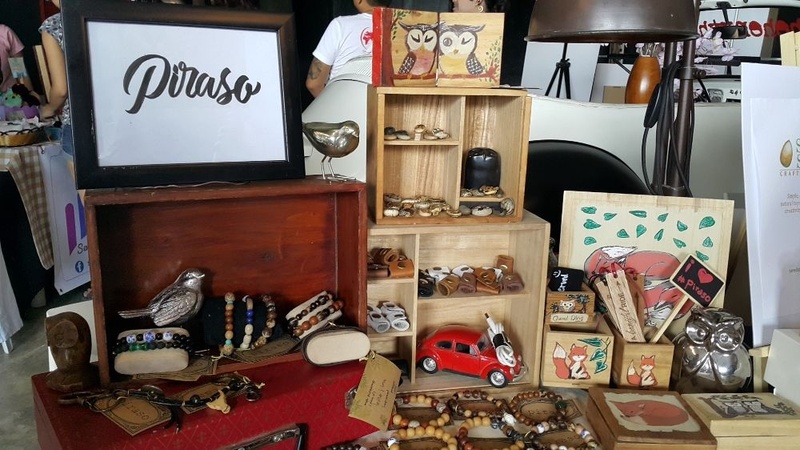 The said event featured capsule classes, intensive workshops, free art demos and a Maker’s Market, Art Exchange will surely inspire both beginners and experienced crafters alike to hone their craft and pass on the passion. 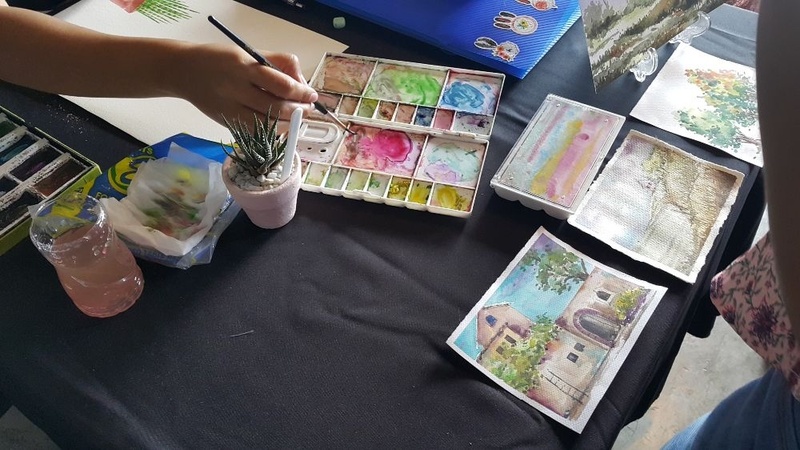 A day of inspiration and learning, Art Exchange gathers crafters of all mediums to share their knowledge about their art and to showcase their talent through. - Basic Pointed Pen Calligraphy at ten in the morning and ended at eleven thirty. - Basic Watercolor at two thirty to four. - Loose Watercolor Florals at four to five thirty. Aside from that there were two intensive workshops too. The first in the morning was manned by Gothic Calligrapher Janot @lettereater from ten in the morning until twelve thirty. And in the afternoon, Advanced Engrosser Script workshop was lead by Gail M @the_md_writes from four in the afternoon until six thirty in the evening. I had originally expected that the event or the bazaar specifically will be held in a huge room with wide area but it was a total opposite. I again learned the lesson of not expecting a lot but anyway, the space was just enough for the visitors to move around and check the items available. Ended up buying one of the above cactuses. Most of the people in there were actually participants of the workshops happening and both my husband and I were wondering why there were a few people around when it was already ten in the evening then at eleven when the first workshop that day had ended, people were coming out of the Space 150 room! I got the chance to check the inside and wow, I got lots of art enthusiasts in there! In fact there were kids, adults and boys and girls! I didn't expect that. It is hard to go there without bringing cash because one will surely get something interested in. At first my goal was to buy nibs and additional calligraphy pens or perhaps inks but then some other stuffs captured my attention. 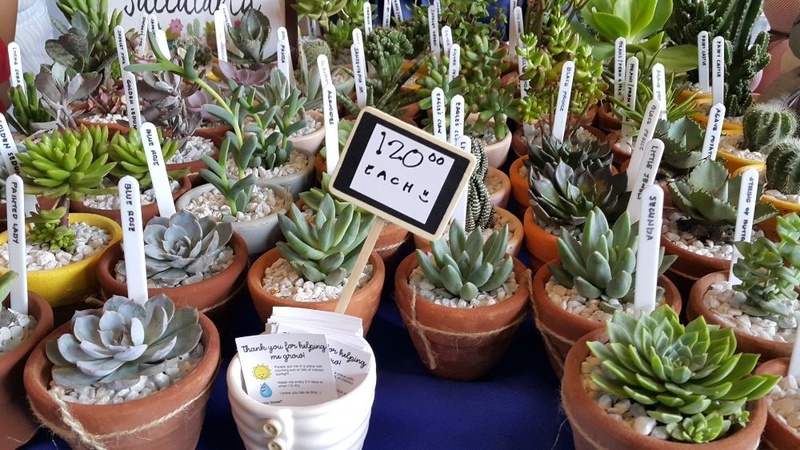 I went to cactuses' table where there were different kinds of cactuses and modern potting items. I eventually bought one. Then handmade necklaces were there too that my husband was able to find one item that really suit him well - a guitar. I myself got me a camera! It was the cutest ever! Those were clay ones baked or air dried. 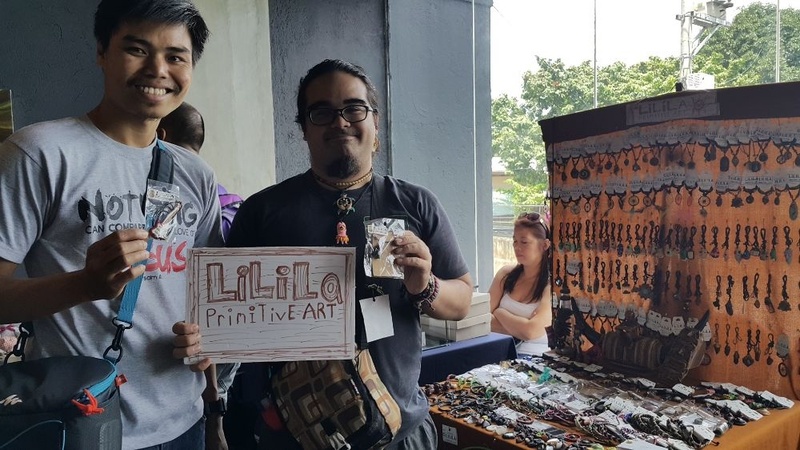 Salute to the creator himself, Carlo Rodriguez of Lilila Primitive Art, you can follow them too at @lililaprimitiveart on instagram. We went out of the hotel satisfied and though I was a bit regretful that I was not able to join any workshops. But overall, it was a great opportunity to see personally these people who are active in this specific line of business as well as being able to open my eyes to something which is is something unrelated to computer. 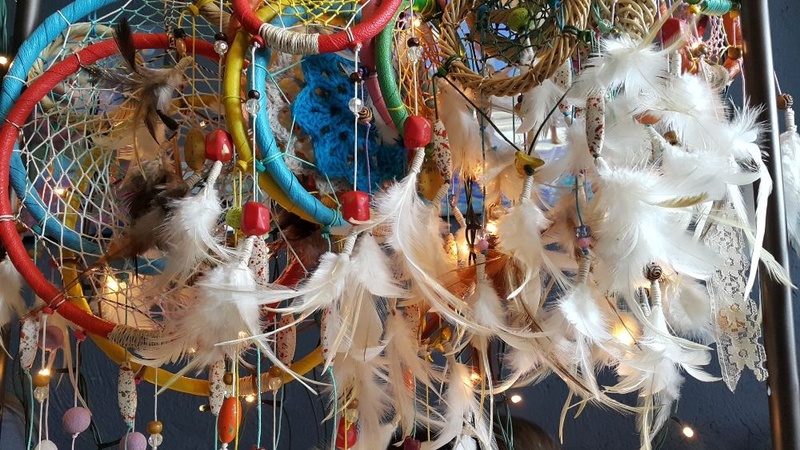 With this craft, one can take a break out of the digital world and reconnect to the world of kawaii and worthwhile artmanships. Hope you had enjoyed today's blog post! Cheers! padaan na lang ulit sa blogs na to. Nice to know all about the Art Exchange. anybody subscribe and buzz my post i subscribe and buzz her./././. She's waiting for this one to be featured that's for sure.